I was asked recently what a suitable screening plant was for a sunny position? 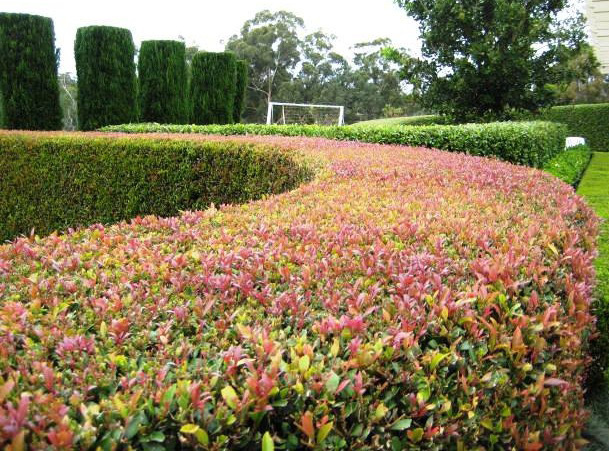 "Wynyabbie Gem" is a 1.5m tall x 1.5 m wide bushy shrub native to Australia. It is also know as native rosemary. This hardy shrub features grey/ green fine foliage. Pretty little mauve flowers appear in spring and throughout the year. I think it's a little under-used in today's gardens. There are so many great reasons to grow this screen. Team it with grey, silver and black foliage for a muted modern palette or use it as a back drop in formal gardens. 2. Best "Tough as Boots Screen"- Viburnum tinus. I rave about this plant allot. 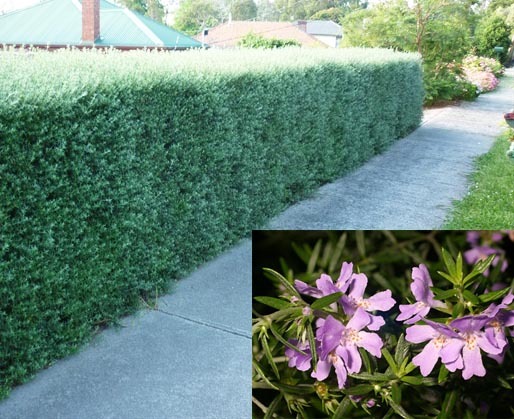 It's an old fashioned shrub that can grow over 3m if left unpruned, but easy to maintain at a medium height. Plant viburnum in a row about 1m apart for a brilliant evergreen hedge or screen. The screen can be kept as low or tall as you like. The lush foliage is covered in clusters of white flowers with a flush of pink in spring. People will knock on my door asking "what is that screen?". It always looks lush, even in the hottest of weather. 3.Best "Red Hedge"- Lilly Pillys. Pop into Serenity Nursery and you will see several varieties of Australian native lilly pilly. The lilly pilly come under three botanical names- Syzygium, Acmena and waterhousea. If you are wanting a taller growing screen plant Lilly Pilly Backyard Bliss. It will grow 2-3m tall with magnificent red new growth. This particular lilly pilly is popular as it is psyllid free- so there will be no dimpled foliage in sight. "Backyard bliss" responds well to pruning and can be pruned to any height. 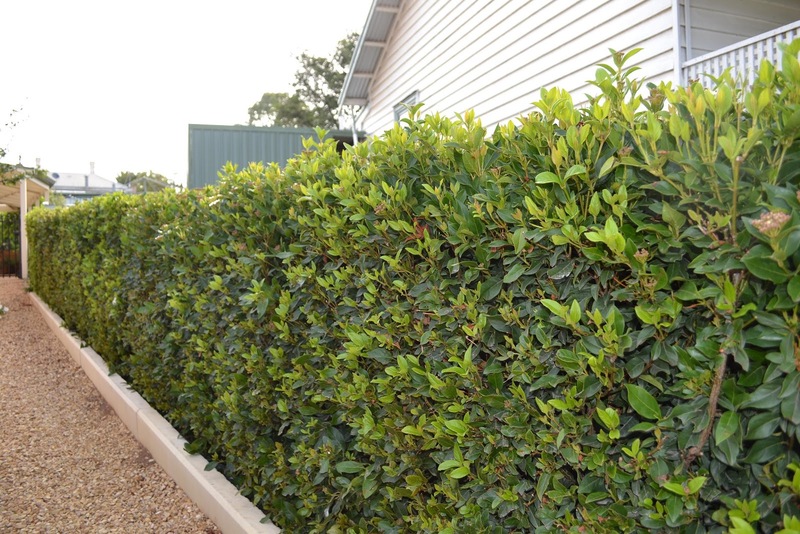 Hi, I live in Queensland and was wondering about the VT. Can you tell me if the Viburnum Tinus will grow right next to the veranda, where one side has lots of sun and the other is in shade? Hi Heather, Yes it sounds fine. VT is will adapt to most environmental conditions.